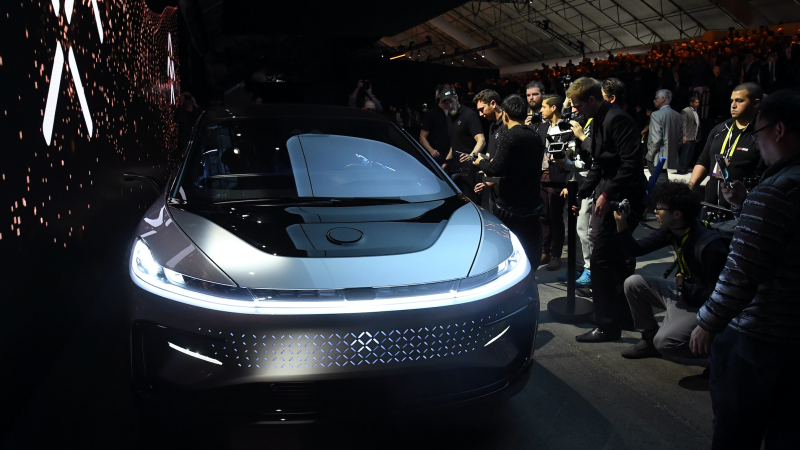 CNBC is reporting that Faraday Future’s main financier, Chinese tech conglomerate LeEco, is expected to lay off as much as 80 percent of its U.S. staff and, citing anonymous sources, “may” continue its investment in the electric autonomous vehicle start-up. That isn’t encouraging. The layoffs follow a decision over the weekend by LeEco’s CEO, Jia Yueting, to step aside from running LeEco’s main unit and “partner” in developing Faraday’s flagship car, the FF 91. According to CNBC, LeEco’s planning to dwindle its headcount from 500 to 60. CNBC obtained an email calling employees together for a Town Hall Meeting that will occur in three of the company’s U.S. locations, including San Diego, Santa Monica and San Jose, at 10 a.m. PST. The email asks employees to attend unless they’re off for the day, in which case they’re asked to call in. It’s not clear what will be announced at the meeting, but a second source told CNBC that layoffs will be announced tomorrow. Under the restructuring, LeEco will refocus on encouraging Chinese-American consumers to watch LeEco’s Chinese content library, one person said. The looming question, of course, is what’ll happen to Faraday, and CNBC doesn’t have much to assuage any concerns the start-up may have, reporting that LeEco “may” continue to invest in FF. CNBC said a conference call is planned for 1 p.m. EST in which the layoffs are anticipated to be announced. If you know anything about LeEco’s reported layoffs and the potential impact to Faraday, shoot me an email at ryan.felton@jalopnik.com or reach me by Signal.